In the last few years, Brock Dock & Patio has created significant partnerships and now offers a full line of products and services. We offer decking and deck overlays, misting systems for cooling and for pest control, automated dock shades, and even regular cleaning services for boats, docks and decks. TimberTech Composite Decking offers practical decking options designed for the value-conscious customer looking for a lifetime of low maintenance. 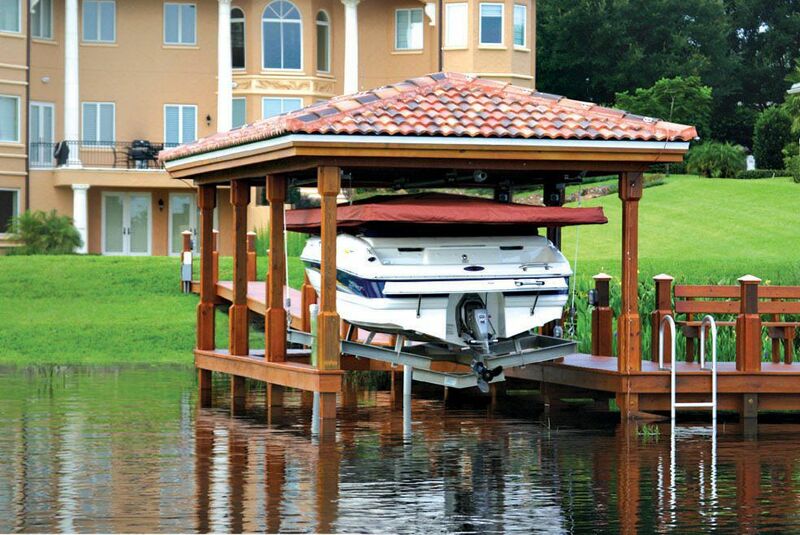 A variety of textures and colors are available to make any dock look new for years to come, without the hassle of staining, painting, or replacing boards. Titan Window Screens provides BDP with awnings, storm protection, ornamental railings and protective screen and fabric enclosures to homes and businesses. Their automatic screen shades for docks and patios help make your outdoor world cooler and more bug free!